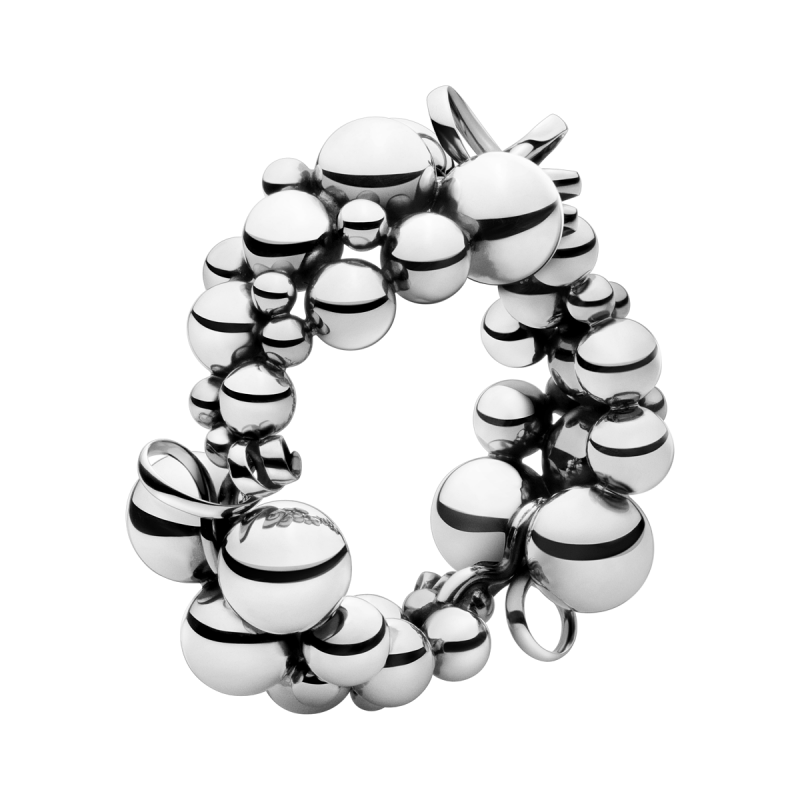 A magnificent Georg Jensen silver Moonlight Grape bangle. 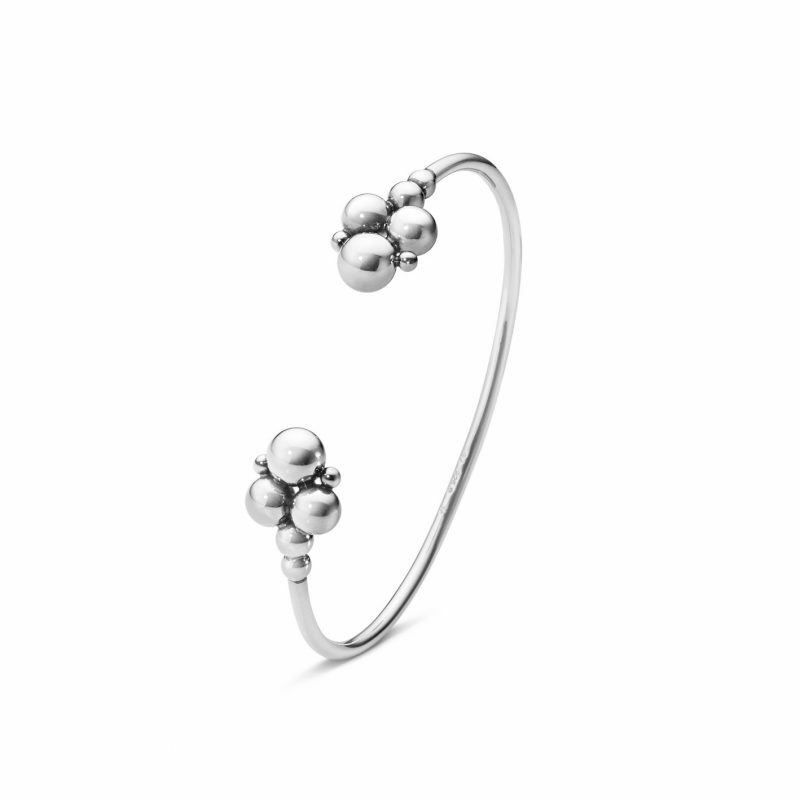 Outstanding in its design this hinged bangle is completely encompassed with highly polished sterling silver spheres and has a totally integrated catch to create a look that easily bridges the gap between young and old, perfect for any generation of Georg Jensen wearers. 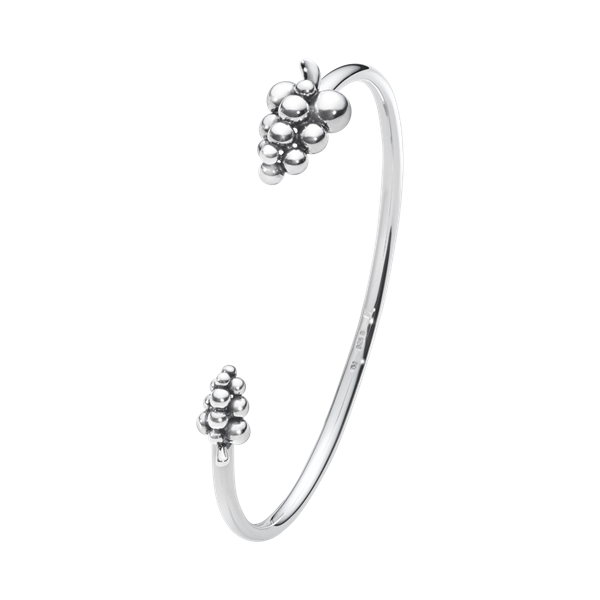 The moonlight grapes collection is authentically vintage and yet undeniably contemporary in its design.